Tabletop – 2 cm thick, specially selected, smooth solid oak wood, smooth. It has various shades, dark knots and bright lines running along and across the tabletop. Each product is made to order and therefore, depending on the batch of wood, it also has its own unique features, colour and wood grain. Base – solid oak wood painted in white. 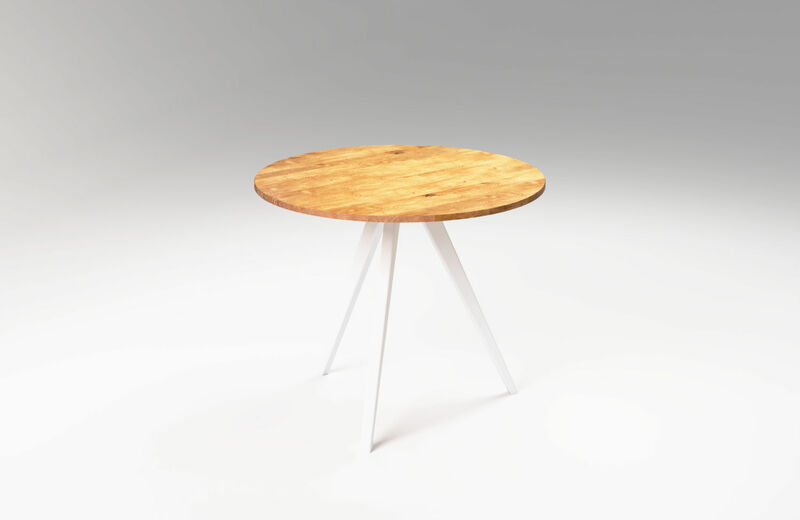 The wooden round table MÅNE is handmade of solid oak wood. 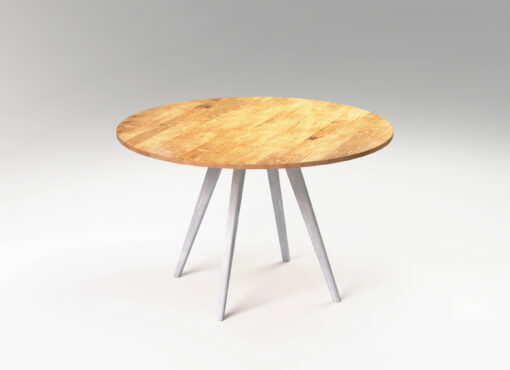 The oak top based on three white wooden legs. 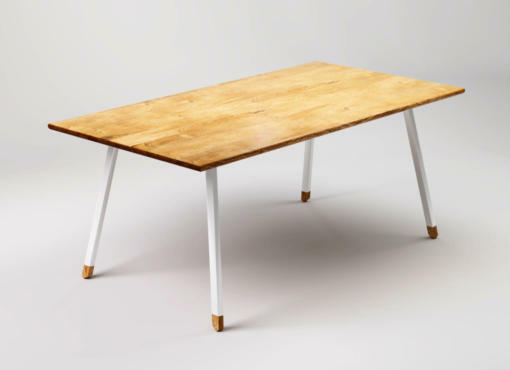 This Scandinavian style table for dining room and kitchen creates a warm, homely atmosphere. It is extremely durable and comfortable to use. 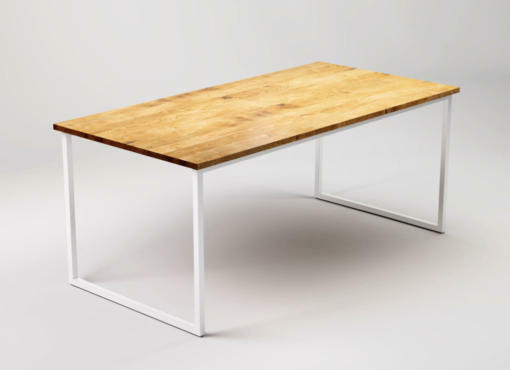 Environment-friendly dining table, made only from natural materials. The round dining tables have many advantages. The people around them are all at the same distance from each other, which encourage conversation during family meals. The lack of angles ensures the possibility of arranging chairs around the table without a pre-imposed scheme. It’s equally comfortable to play a board game with your family and to have a coffee with friends at the round table.